The Lychnis chalcedonica has been associated with the city and people of Bristol since the 1600’s. The dye this vivid little flower produced amazed contemporary commentators more used to the comparatively drab hues on offer by our native flora. Thereafter the rich red cloth produced in Bristol was daubed ‘Nonesuch Red’, a abbreviation of the early modern phrase ‘there be nonesuch [nothing] like it’ that to the modern ear can be best summed up as ‘without equal’. Fittingly it was ‘Nonesuch Red’ that the young Bristol university chose as the colour for it’s academic hoods and ‘Nonesuch’ was the name given to one of UBBC’s very first racing shells. 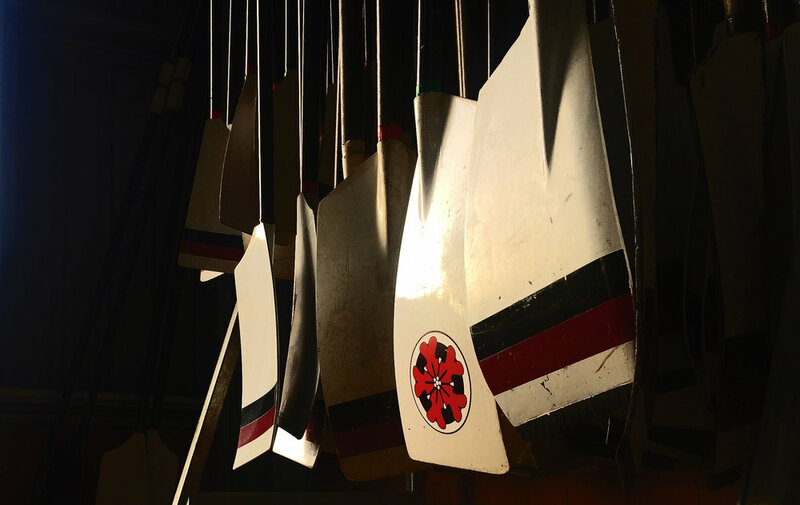 To this day the colour remains a key ingredient to our Boat Club and University's identity, and the flower can be found growing wild in areas of the Avon Gorge. When UBBC’s Alumni first began racing in the late 00’s Nonesuch BC was the racing name adopted (Conchord ‘go supersonic or explode’ BC being a close runner up). As we move forward to further strengthen our ties with and support for the current club there can be no more fitting symbol for UBBC’s Alumni than the Nonesuch Flower, an emblem of enterprise, brilliance and Bristol.